Install Multiple Applications at Once! Okay so this has been around for some time, but it's still [live] and is a great help when setting up new windows machines. , which gives you the ability to install multiple programs one after another very easily, essentially eliminating the need to visit individual software websites and downloading them individually. You are then to pick and tick the checkboxes of all of the software you wish to install on your machine, once you pick the software you wish to install, you press "Get your Ninite" which is just below the tick box section. This will direct you to the download page. Once you have it downloaded run the Ninite program, and it will proceed to fetch the latest installers for each application. It will then begin to install them one by one, then automatically installing the programs with the language of your machine and deselect any toolbars and bloatware that some applications have in there installers, so you don't have to worry about all the unnecessary clutter attached to some applications. Finally , upon completion it will ask you to close the program. Personally, I enjoy using this when working with multiple machines, as you can essentially download one Ninite installer and use the same [.exe] for every machine, additionally pulling the same software for each machine. Another plus for Ninite is that you can use the same installer 6 months later and it will update all the same software to the newest version, if them application don't update themselves. Just a quick one really to show you how to get the developers features within the Runelite client. 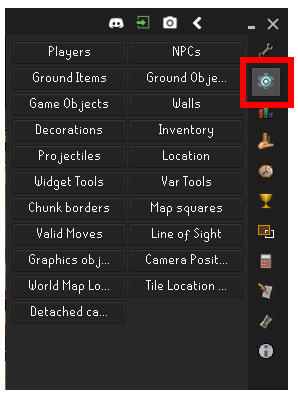 You do need to build the Runelite client to access these, I personally use InteliJ, but you can use what ever you prefer, I'll link Runelite's guide to building wit InteliJ below, also be sure to always use the latest Runelite build. *Disclaimer* if this is your first time building Runelite be aware that some changes to code 'could' trigger Jagex's bot detection, so use a disposable account for testing. This list may will no doubt be outdated but, it should still have some use. Here are the rules everyone must follow, if they are not followed then this could lead to a permanent ban. 2. No Harassing or any form of maliciousness towards others, we are a community. It won't be tolerated. 3. Posts should be made in the relevant topic, look before you post. 4. No malicious intent/infecting other users. You will be permanently banned. 5. Do not post executable files without code attached / if you are posting any links make sure it is approved first. Any other rules will be added as if necessary. Prefer to keep it simple.